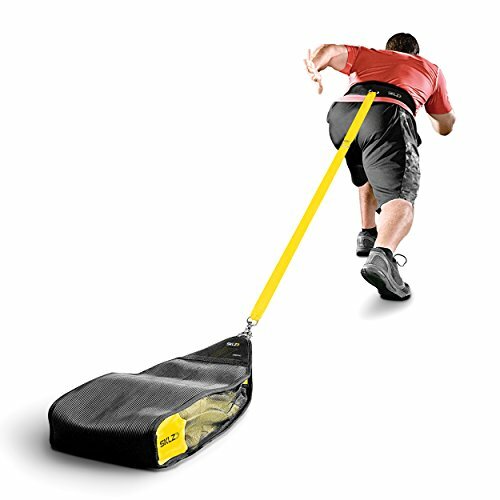 / What’s the best weight sled? I’m always really excited to get to use new exercise equipment in the gym and when they brought in a weight sled last year I was instantly on it! It’s one of my favourite bits of kit now and I’ll always incorporate it in to my workout routine. If you’re looking to buy one for yourself you might be asking what’s the best weight sled and which kind is best for you – if so I hope you find this article imformative! 1 How do weight sleds work? 2 What’s the benefit of using a weight sled? 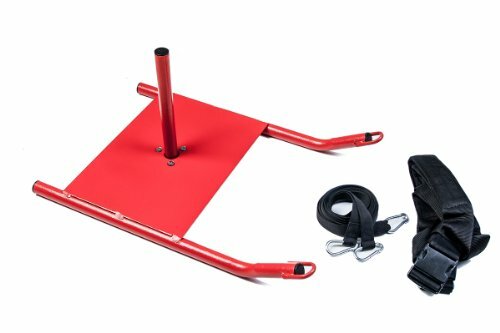 How do weight sleds work? Weight sleds are basically a form of resistance training and you can get a couple of different types. The first type is used with a harness around your upper body. You can run or walk while pulling the sled and obviously vary the weights on it. The second type doesn’t have to use a harness, although you can attach one, but you push it or pull it along the ground holding on to the handles. Each of these different kinds of sleds will provide a slightly different work out and will work different muscles. One thing to bear in mind when getting a sled is how you’re going to transport it to the place you’ll do your workout. If you have a large car then you’ll have no bother with the larger sleds but if you’re worried about it fitting in then a smaller sled would work better for you. 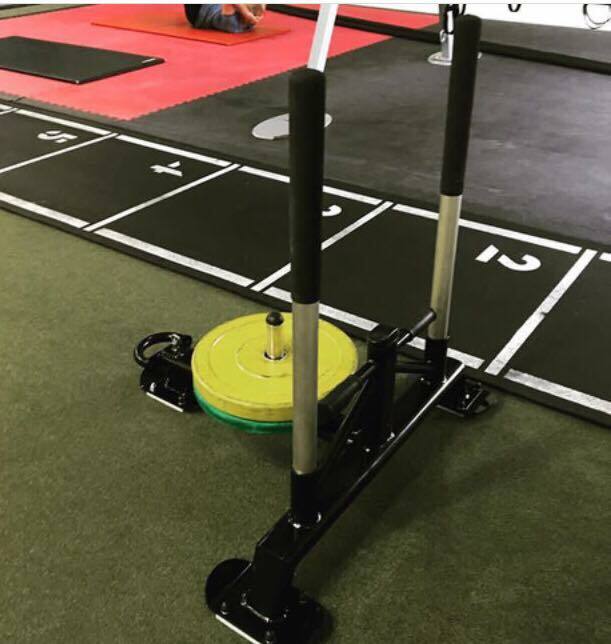 What’s the benefit of using a weight sled? The best thing for me about using a weight sled in my home gym routine is that it gets me outside. I generally take my sled to the nearest park and use it on the grass there. I also use one in the gym as well as you can see in the picture. You do need a lot of space to use it properly, but if you’re thinking of getting your own then I encourage you to get it outside, maybe using it with friends if you’re a bit self conscious. Fitness wise it will bring your stamina and strength on in leaps and bounds and it really works your lower body. You’ll push yourself in ways you can’t with other fitness equipment. 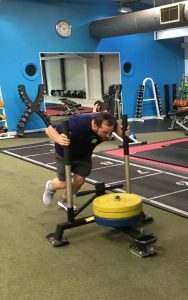 If you’re a runner or footballer then you’ll likely love the harness sleds which give you resistance as you sprint and can work your muscles harder. It’s a complete body conditioner and can raise your heart rate up really quickly. You don’t need to do long workouts with it – short and sweet is the way to go. The first few sleds are the harness type with the last items the push sleds. You’ll notice there’s quite a big difference in the price points too with the dragging weight sleds being much cheaper. The most simple type of weight sled is one like this. 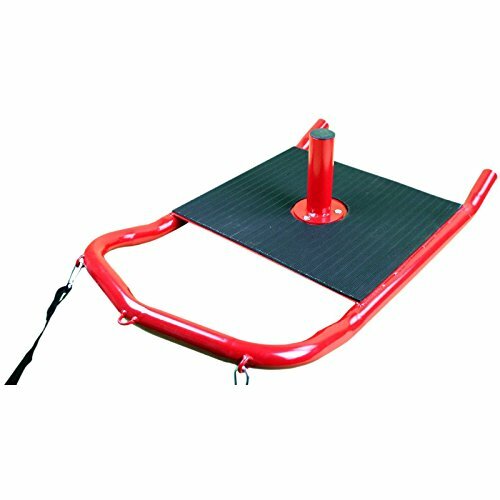 You simply add a weight plate to the tube on the sled, attach your harness (included) and you’re ready to start working out. This one is the cheapest around that I have found yet it’s still a great bit of kit. It works well on grass so would be perfect for if you like to train at the park or in your garden. Weight plates are not included. A similar style the the above weight sled is this one from BodyRip. I think this one is a much more sturdy option and although slightly more expensive I think it’s more robust and so will last you longer. It’s made of a solid steel and comes in a nice red colour. The harness is also included and is made from a durable nylon. Weight plates are not included. If you don’t have weight plates already then you might fancy this item which is very similar but includes sand bags to add the extra weight. You can fill each bag up with 10lbs of sand (no included) so you can vary the weight you’re using. Other than having a different way of adding the resistance, it is basically used just as the previous two sleds. Attach your harness and do sprint work. The materials are very durable and I think would last well, perhaps not as well as a steel sled though. Ok, now we’re starting to look at the other kind of sled that isn’t necessarily pulled by a harness. 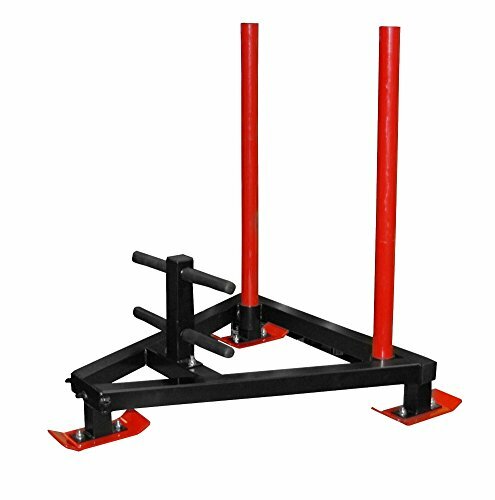 This is my favourite and my top choice for these weight sleds – the CoreX Prowler. As you can see it’s a good sized, sturdy steel made sled. You attach the weights to the red poles and either push with those poles at the back or the handles at the front. There are loops for you to attach a rope or a harness to as well meaning it can give a great all round workout. It works on a variety of different surfaces, although the best is probably grass in my opinion. 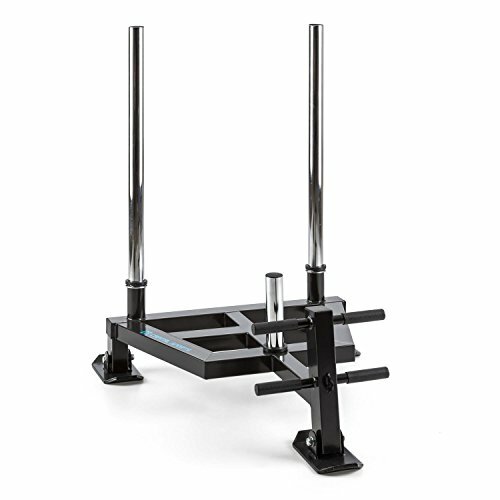 Another item worth considering if you’re looking in to investing in a weigh sled is this one from Capital Sports. Again it’s a sturdy steel construction and this one allows the weights to be placed centrally on the pole. You can attach a harness to allow you to use this as a pulling weight sled or use the long poles for pushing exercises. The poles can be removed with screw caps for easy transportation.